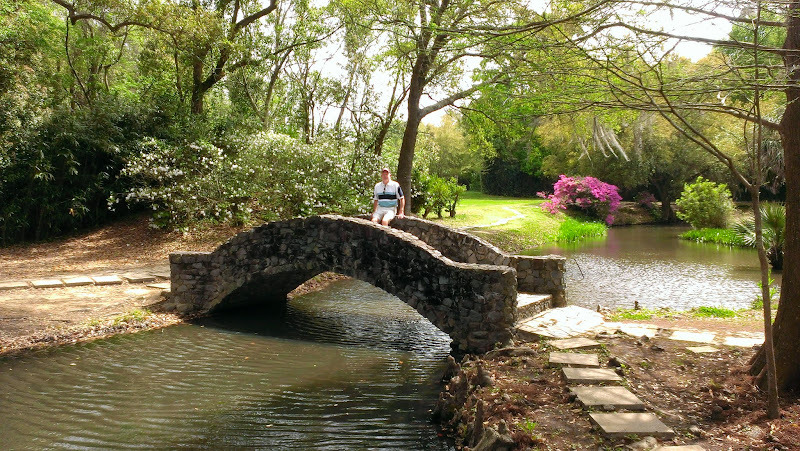 By noon, we had finished the Tabasco factory tour but our sightseeing at Avery Island wasn’t done yet. Our next stop was the nearby Jungle Gardens. The second son of Edmond McIlhenny, Edward “Ned” McIlhenny, born in 1872, was an Arctic explorer, naturalist and conservationist. 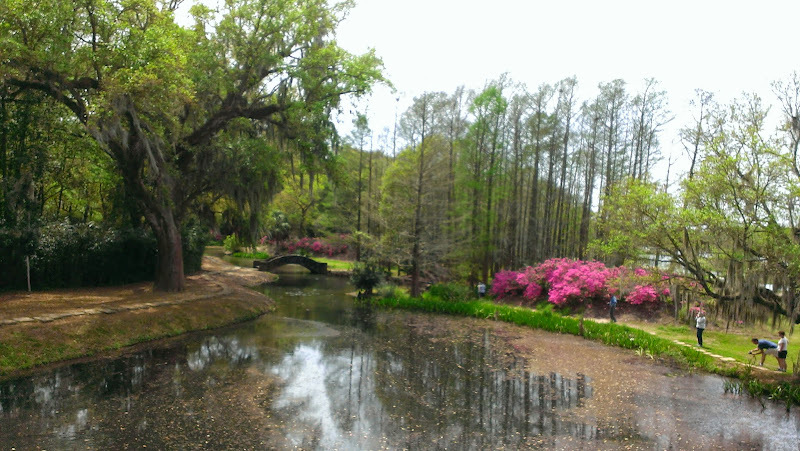 After studying the plants and animals of Avery Island, in 1895 he created Bird Island, a private bird sanctuary for the Snowy Egret. Slaughtered for their beautiful plumage used by milleners to adorn fashionable ladies’ hats, these beautiful birds became an endangered species. Mr. “Ned” as he was known, gathered up 8 young egrets and raised them in captivity until he released them in the fall so they could migrate across the Gulf of Mexico. The following spring the egrets returned with others of their species. That migration continues to this day – thousands of snowy egrets come to roost on the specially built platforms. Because of his efforts, this beautiful bird was saved from extinction. In 1898, Mr. Ned assumed the presidency of the McIlhenny Company and ran the company until his death 51 years later. 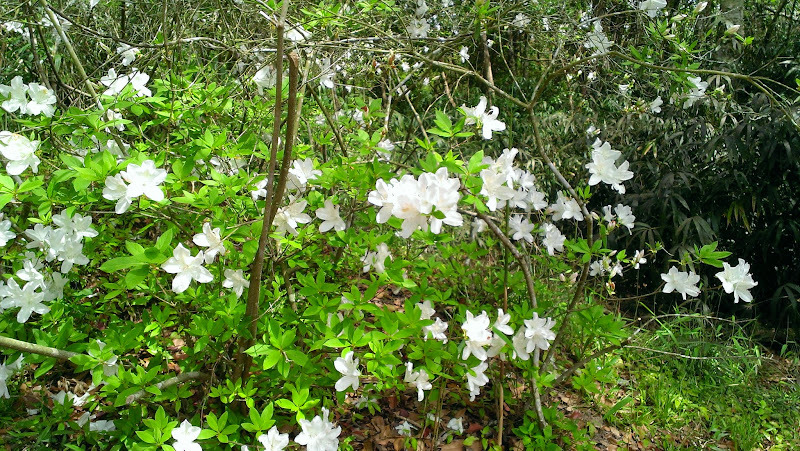 In addition to his efforts with the egrets and running the company, he did find time to plant over 400 varieties of camellias, one hundred varieties of azaleas, over a thousand varieties of irises and bamboo as well as additional varieties of assorted plants that he developed himself, transforming his estate into over 170 acres of beautiful gardens. A sunken garden replaced a dreary gully and a Palm garden transformed an open sand mining pit. In 1935 he opened his Jungle Gardens to the public. 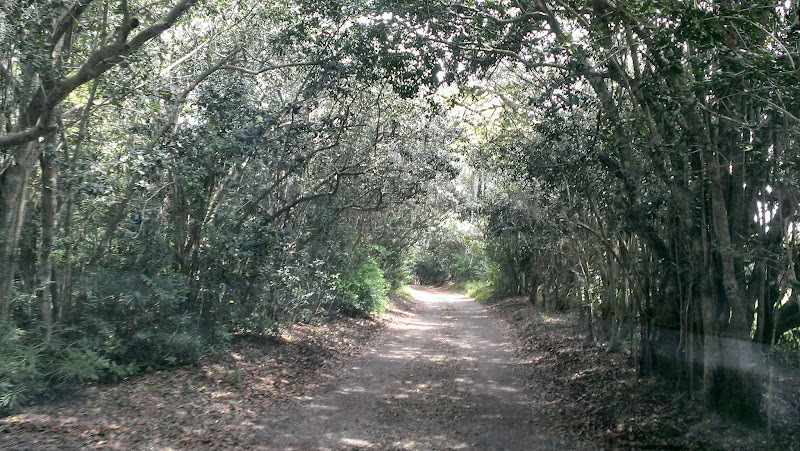 In 1942, when oil was discovered on the island, Ned made sure that pipelines were buried (or painted green) and that live oaks were bypassed thus preserving the island’s beauty and ensuring that the wildlife was not harmed. 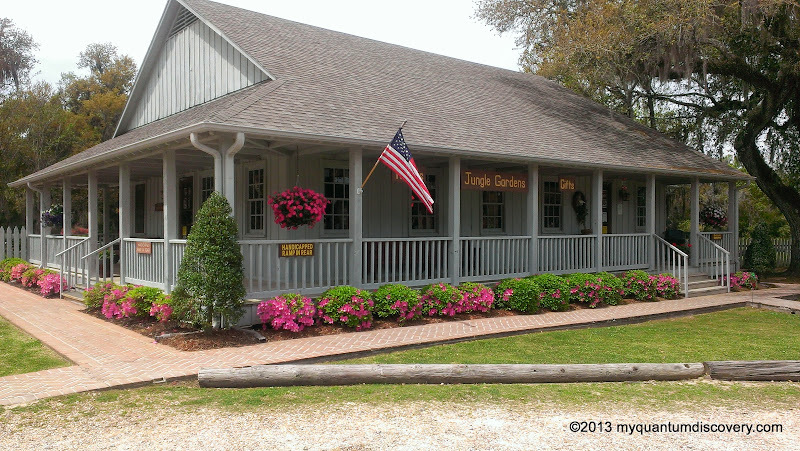 Jungle Gardens consists of a five mile drive through groves of live oaks, an arch of wisteria, a grove of camellias, rows of hollies, and along man made lagoons. 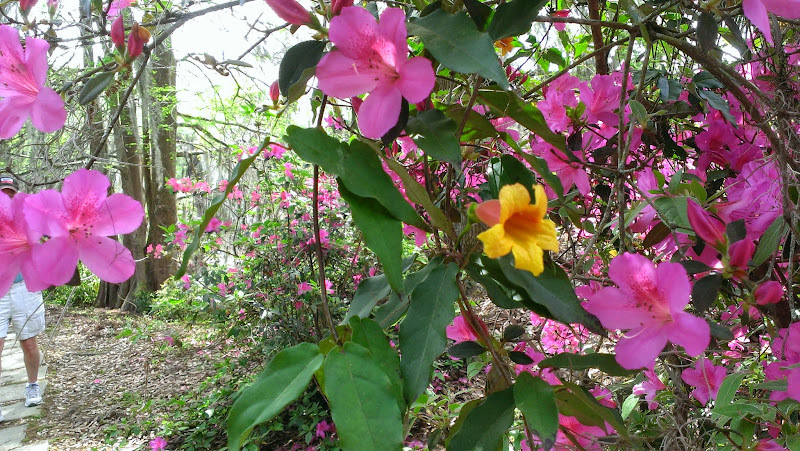 Along the drive, there are many places where you can stop to view the oaks, the bayou, the lagoons and the flowers, or to take a walk on the trails to the Venetian Gardens, the Sunken Gardens, the Buddha statue and Bird City. His home still exists today but it is closed to the public. We stopped at the Visitor Center where we paid the $8 per person admission fee. At first, we thought the price was a little steep but by the time we left we decided the fee was worth it. There was also an audio and website tour that we could listen to on our phones. 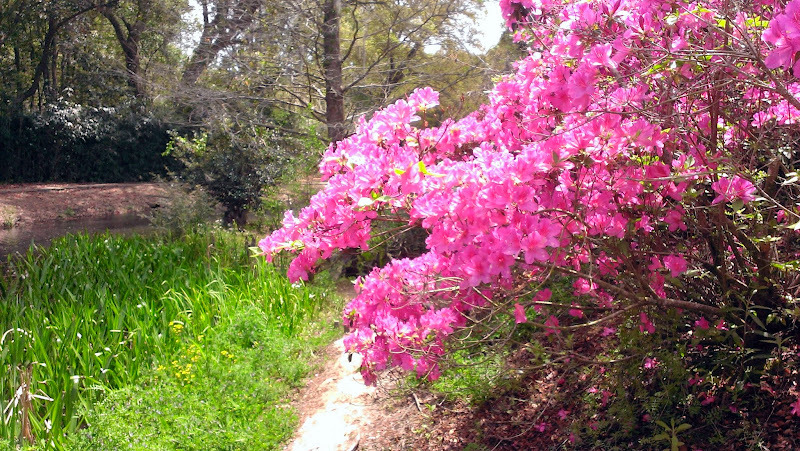 Our timing to visit here was perfect since many of the azaleas, camellias and some of the irises were still in bloom, creating a very colorful landscape. 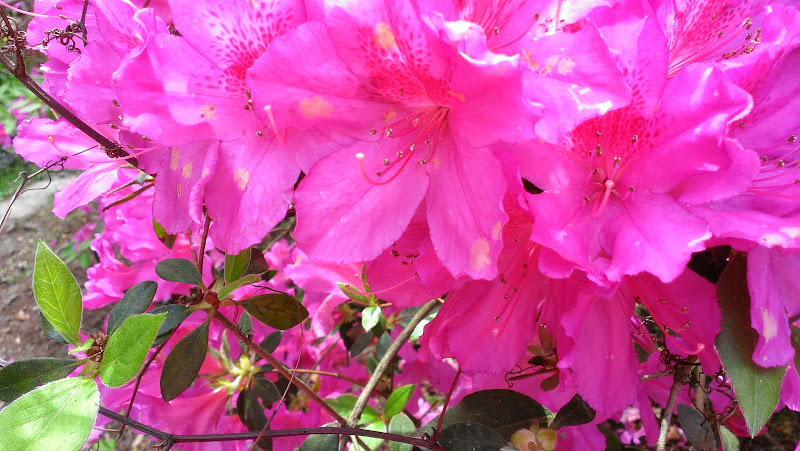 The forecast for the next day or two was for torrential downpours so if we had waited, all of the blooms would probably have been gone. 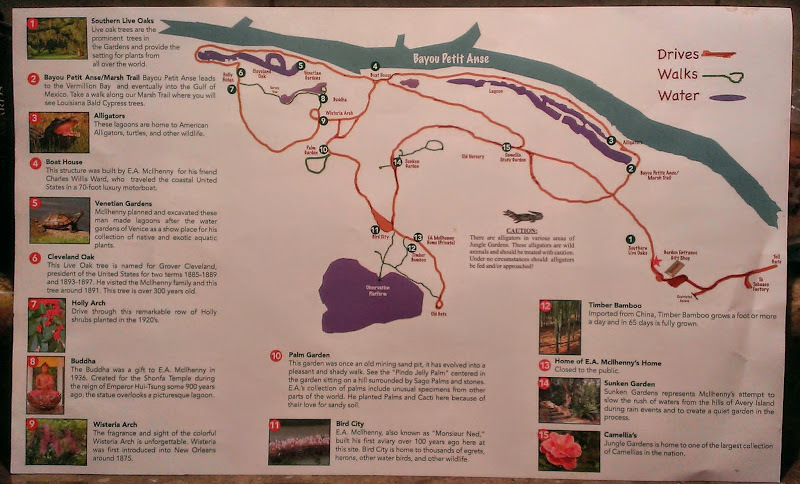 The rest of the post will follow the stops on the map of the gardens. This area near the entrance of the gardens used to be a hog lot and a pasture for horses. 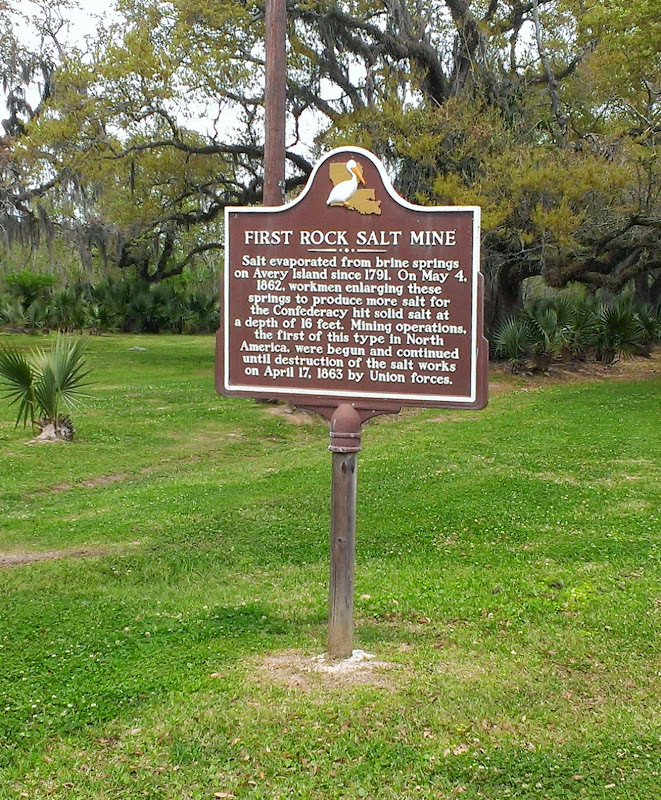 The live oaks were planted between 1860 and 1920. Bayou Petit Anse (means “little cove”) runs along the western side of Avery Island, flows into Vermillion Bay and eventually into the Gulf of Mexico. 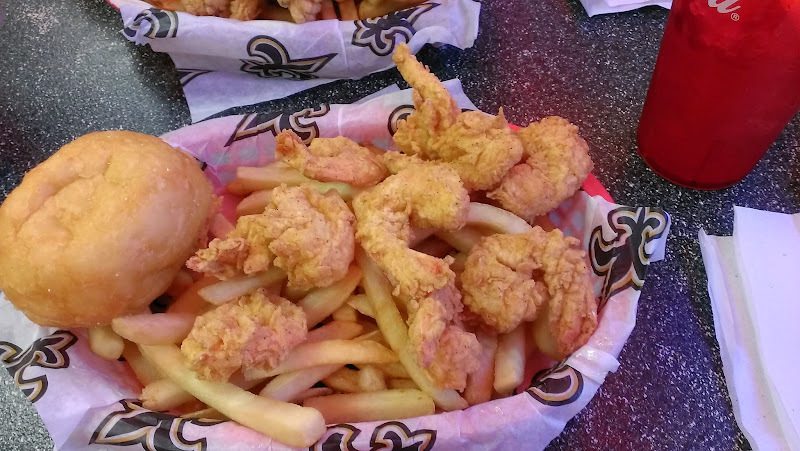 Like most bayous, it contains brackish water. 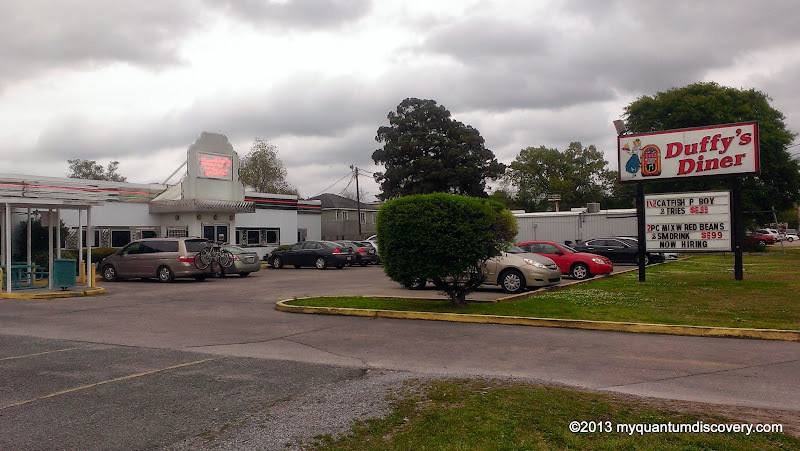 Ned McIlhenny operated a nutria farm here trading their furs from 1938 until his death. Due to its prolific population, nutria have had a negative impact on the environment in LA. Although McIlhenny has been blamed for contributing to the problem, he was not the first to introduce the large semi-aquatic rodent to the area. Three man made lagoons are home to American alligators, turtles and other wildlife. Although we had learned lots of facts about alligators, there was one interesting fact we learned here from the audio tour – when a female lays her eggs in a nest of mud along the bayou if the temp is 90 degrees or above the babies will be male; if the temp is 80 degrees or lower the babies will be female. McIlhenny wrote a book The Alligators Life History in 1935 which is regarded as one of the most accurate books on alligators even today. In 1890, McIlhenny shot the largest alligator on record – 19.2 feet in length. This structure was built for his friend, Charles Willis Ward who ran a nursery business in NY and became a friend of McIlhenny. Ward traveled the coastal US in a 70 foot luxury motorboat. 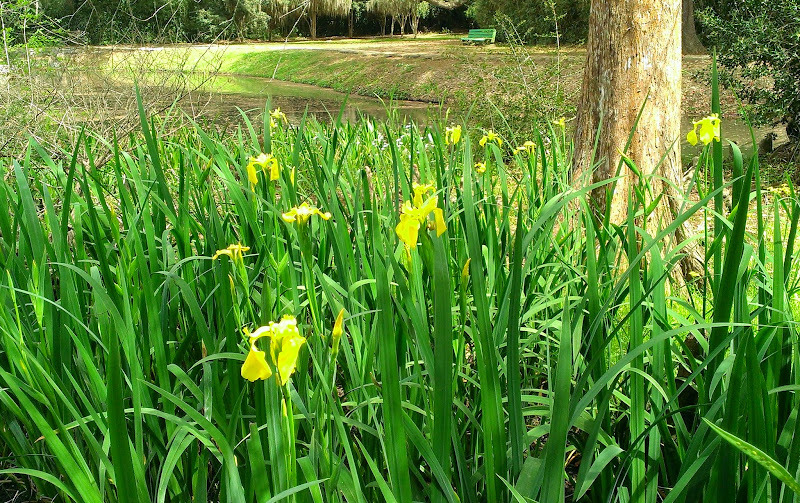 Another man made lagoon was excavated by McIlhenny modeled after the water gardens of Venice so he could have a show place for his collection of native and exotic aquatic plants. 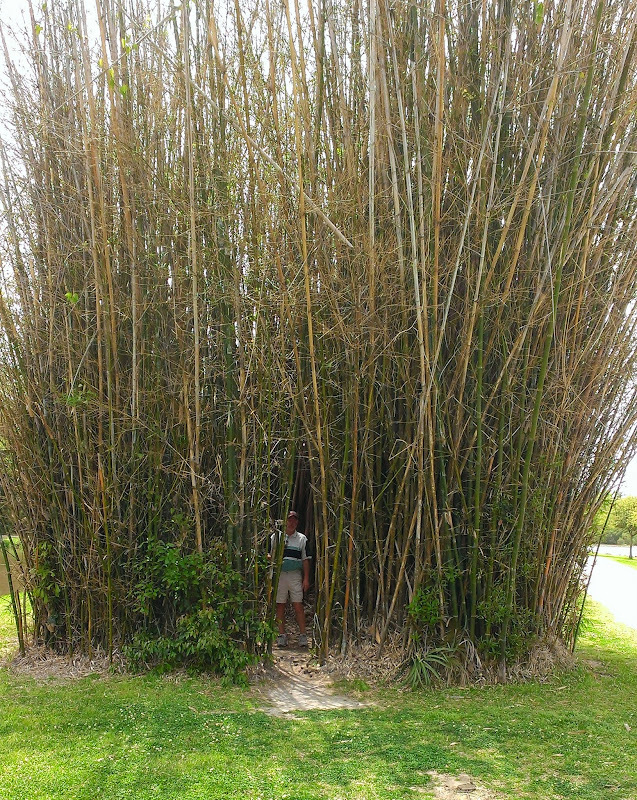 Here are stands of tightly clumped Punting Pole Bamboo which can grow to over 55 feet tall and produce canes of 2.25″ in diameter. Around 1891 President Grover Cleveland visited his close friend, actor Joe Jefferson at nearby Jefferson Island and visited Avery Island for lunch. The story goes the Cleveland hugged the tree during his visit so they named it after him. The Cleveland oak is approximately 300 years old and is 23 feet in circumference. 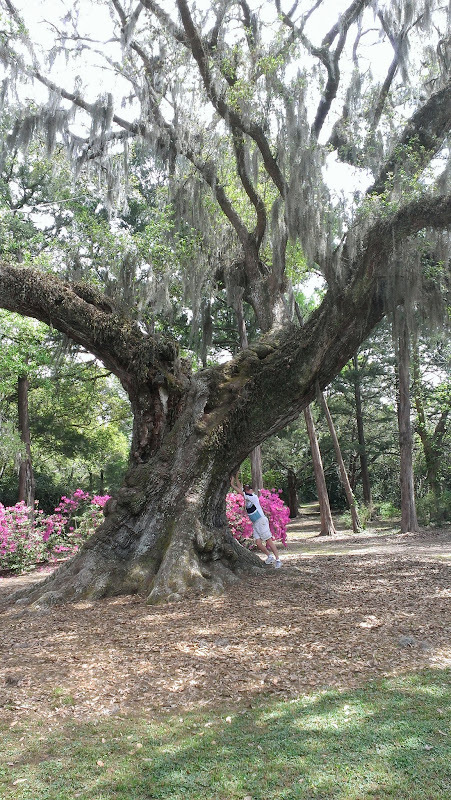 A short walking distance from the Cleveland Oak is the Survey Tree which is one of the oldest surviving survey or corner trees in Louisiana. Holly shrubs planted in the 1920’s. McIlhenny is credited with producing many of the commercially important cultivars that are available in nurseries today. The Buddha was a gift to McIlhenny in 1936. It was created for the Shonfa temple during the reign of Emperor Hui-Tsung some 900 years ago. The statue overlooks a picturesque lagoon. Wisteria was first introduced into New Orleans around 1875. During our visit it seemed like it was past its peak bloom. 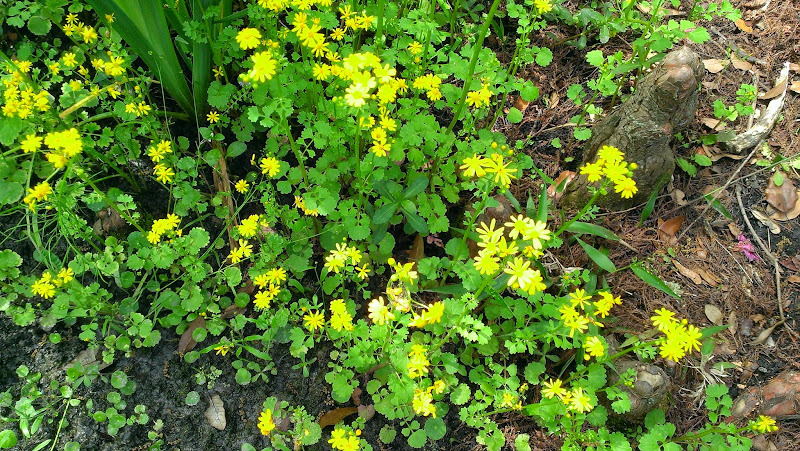 This garden was once an old mining sand pit but has evolved into a pleasant and shady walk. In the center is the “Pindo Jelly Palm” surrounded by Sago Palms. As mentioned above Bird City is home to thousands of egrets, herons and other water birds. 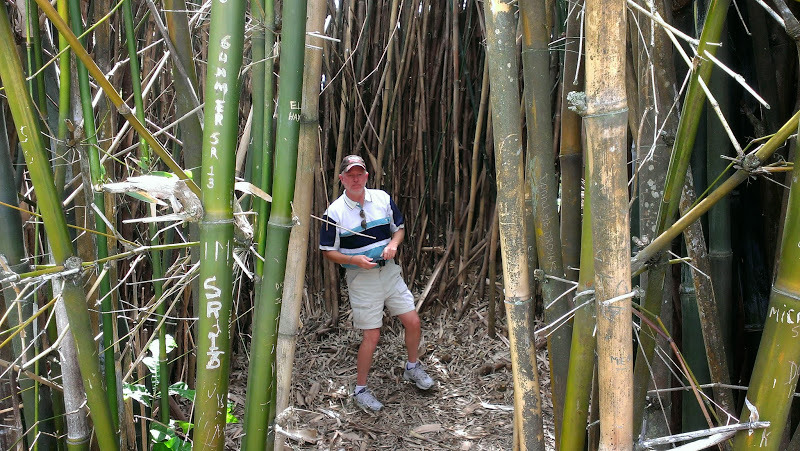 Jungle Gardens has one of the oldest timber bamboo groves in America. There was so much of it throughout the gardens – for whatever reason the only pictures we took was of the Punting Pole Bamboo seen earlier in this post. But here are some interesting facts that we learned during the audio tour. Bamboo is the fastest growing woody plant around, growing on every continent except Antarctica. It is not a tree but a grass and can be harvested in 3 years. Some bamboo is known to grow as much as 40 plus inches in 24 hours. It is crucial to the environment as it produces 35% more oxygen than hardwood trees and absorbs four times as much carbon. 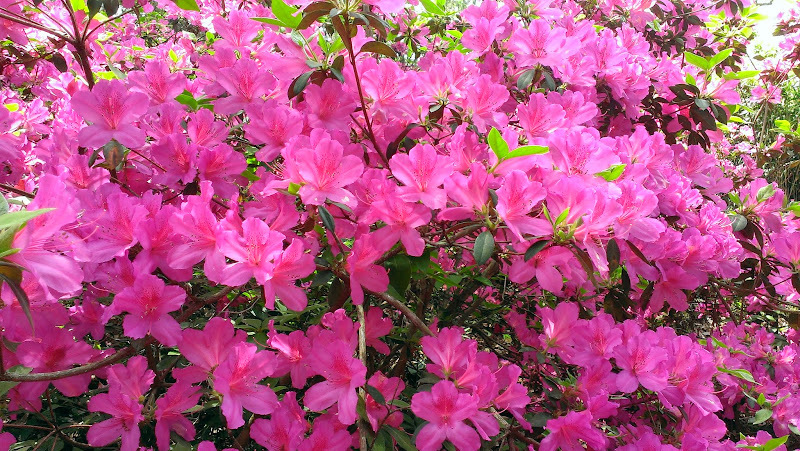 It has natural anti-bacterial and anti-fungal properties so it doesn’t need any fertilizers or pesticides. It has a higher tensile strength (28,000 per square inch) than steel (23,000 per square inch). Who knew? 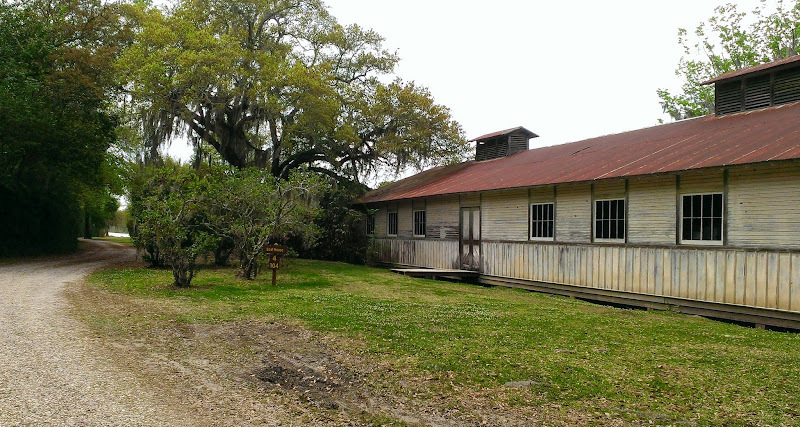 He built his house on a hill above Willow Pond when he returned to Avery Island to take over the business in 1898. It burned to the ground in 1925 but was rebuilt in a more restrained style. 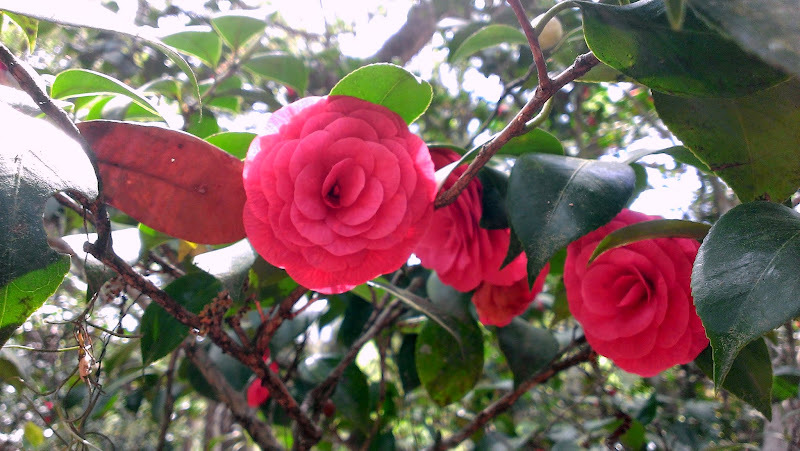 Jungle Gardens has one of the largest collections of camellias in the nation. The tour was very enjoyable and worth the cost in our opinion. We did notice however that there were several areas where maintenance was in order. Some of the stones placed for walking in various areas were uneven or missing. In the Sunken Gardens area the path was not clearly marked and a fountain or fish pond there was filled with leaves and other debris. There were a few other minor things like this indicating some lack of attention to detail, at least in regard to the landscaping. The horticulture on the other hand seemed to be well maintained. Perhaps our timing was off and these areas will be cleaned up for the summer, if so our rating would rise from an overall Excellent to Spectacular. 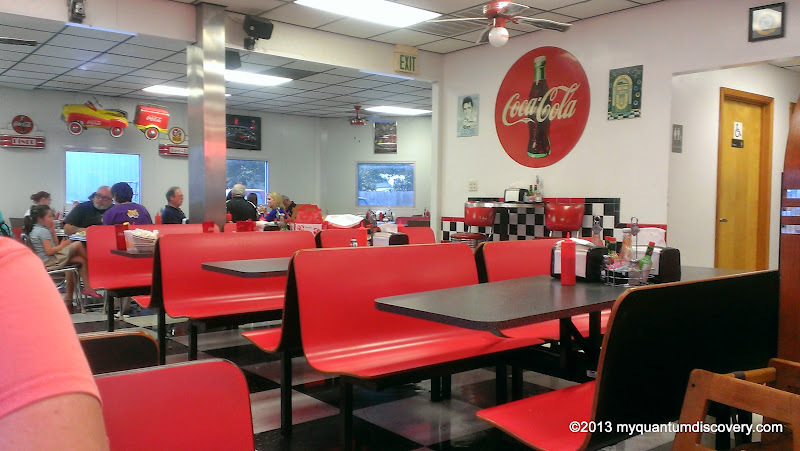 End of the Tour – Time for Lunch! By the time we finished with the gardens, we were starving, not surprising since it was after 3pm. 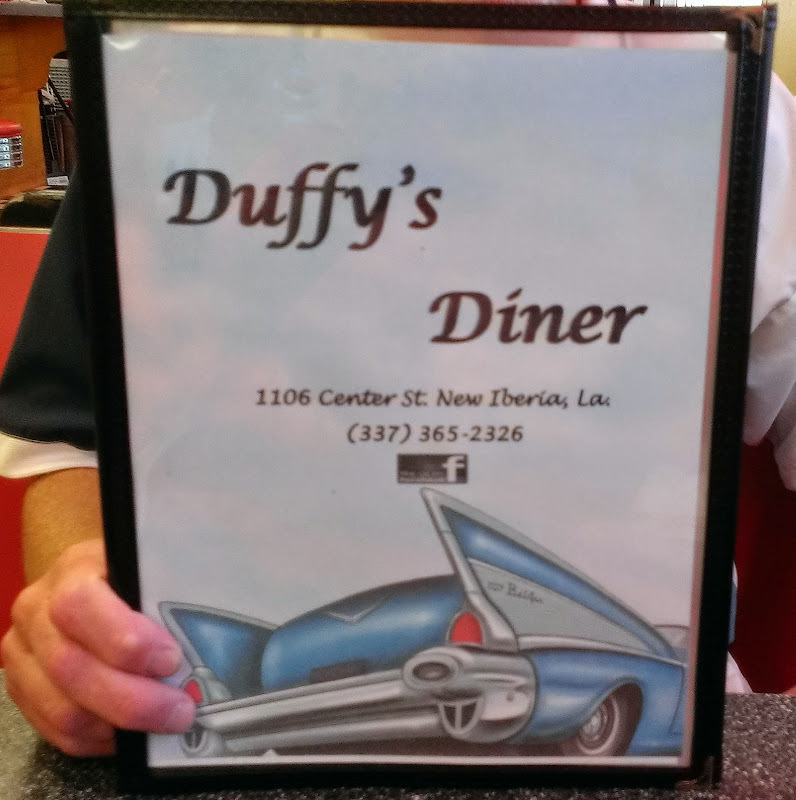 We had seen good reviews about Duffy’s Diner so we headed to the town of New Iberia. 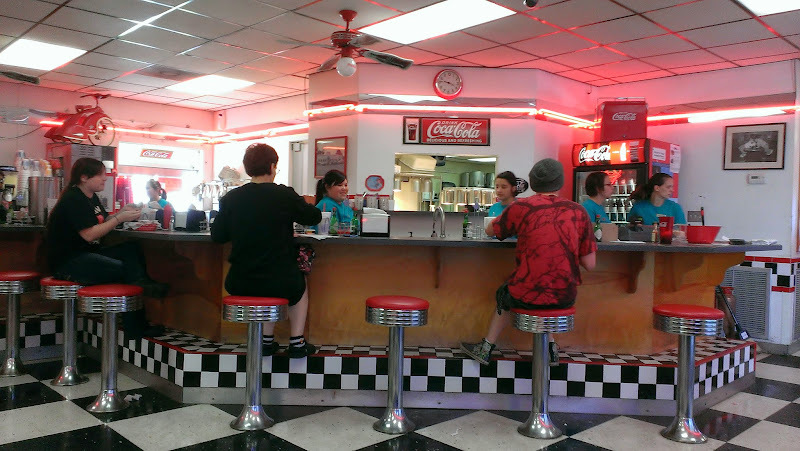 Cute diner with a 50’s motif (they even have a drive up window) and lots of good things on their menu. 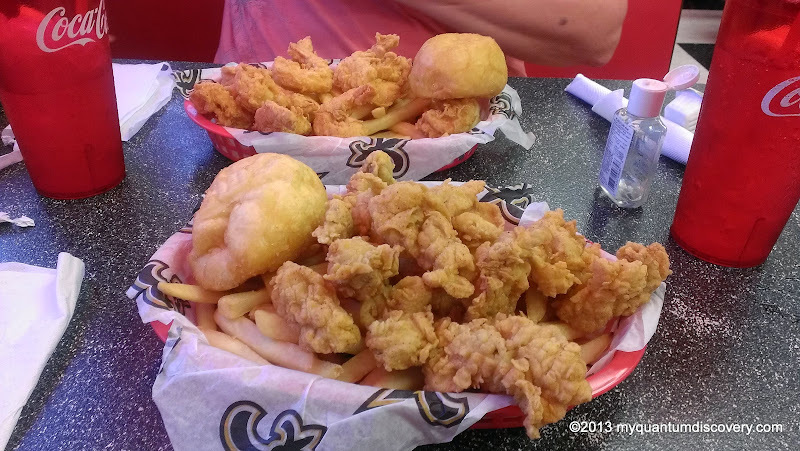 I ordered the shrimp basket and Rob ordered the oyster basket. Both were delicious! Once we were finished we headed back to the hacienda! What a wonderful and very interesting day! But we’re not done yet – there’s more to come tomorrow! Another beautiful post. What a nice place to visit. Pictures were outstanding. Nice choice of food. Honda ABS & VSA Dash Lights Stay On? - Easy Fault Reset Procedure. New Life For Old GelCoat - An Inexpensive Solution That Really Works! Peuwee! What's That Awful Stench??? Rob on Honda ABS & VSA Dash Lights Stay On? – Easy Fault Reset Procedure.